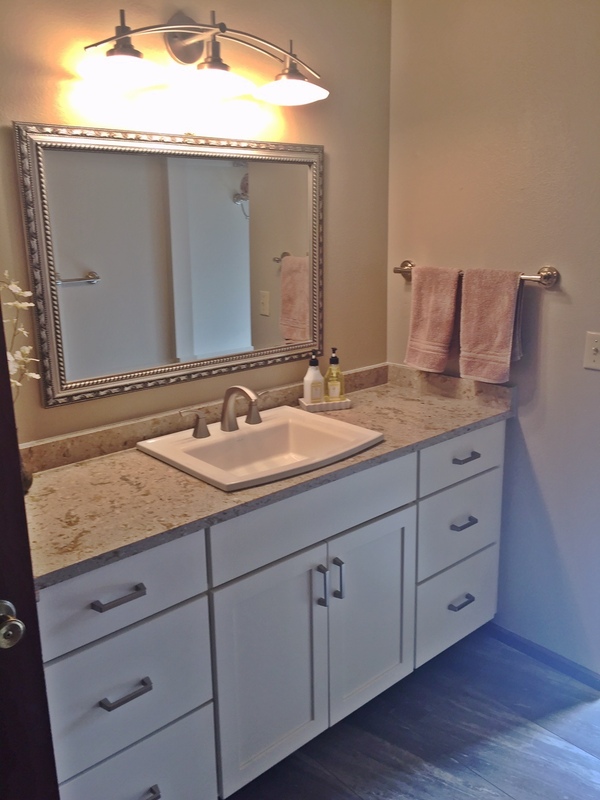 For this client, we removed and disposed cabinets, countertops, flooring, tub deck, tub front, and shower enclosure. 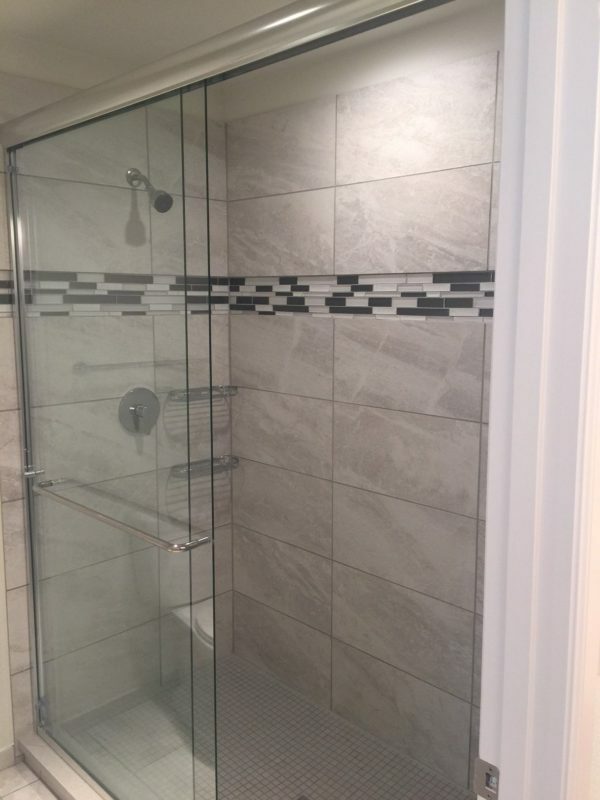 We installed a custom tiled shower and bench. 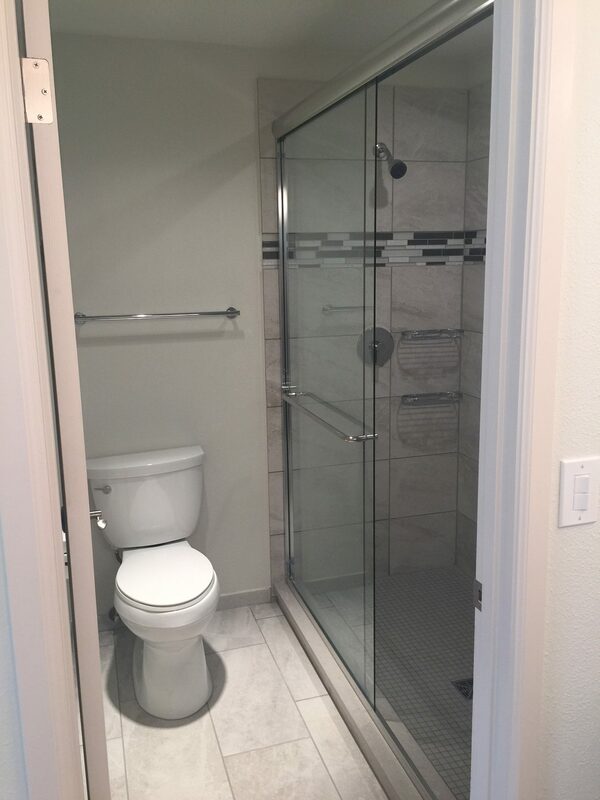 A custom frameless shower door was added to finish the look. 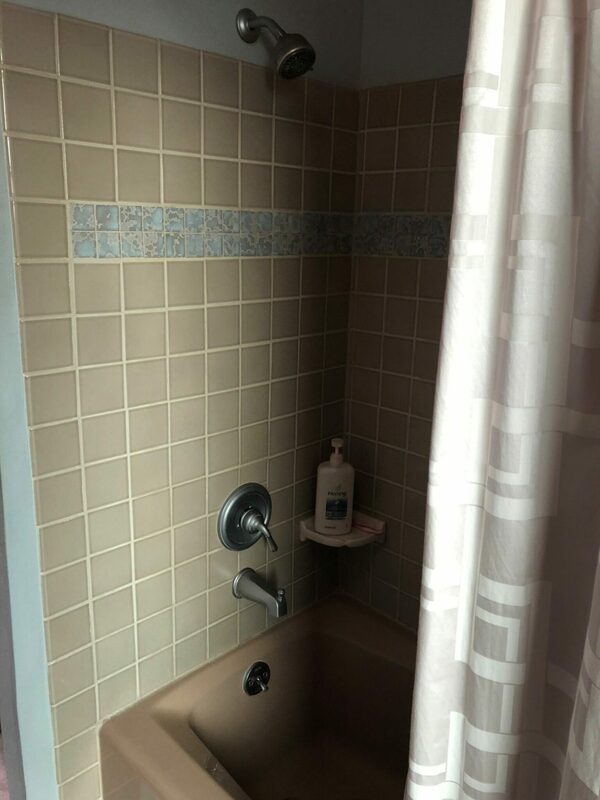 The jacuzzi tub was reinstalled after the new tub deck and backsplash were complete. The cabinets were replaced with Medallion Silverline maple cabinets with a brandywine stain, and topped with new Spectrum quartz counters and backsplash. 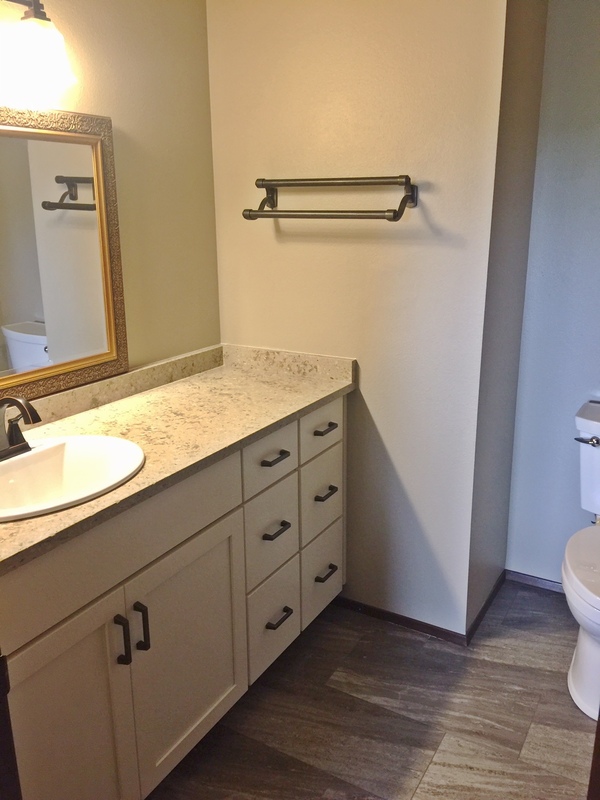 In addition to providing new cabinet hardware, we installed new plumbing fixtures and painted the room. 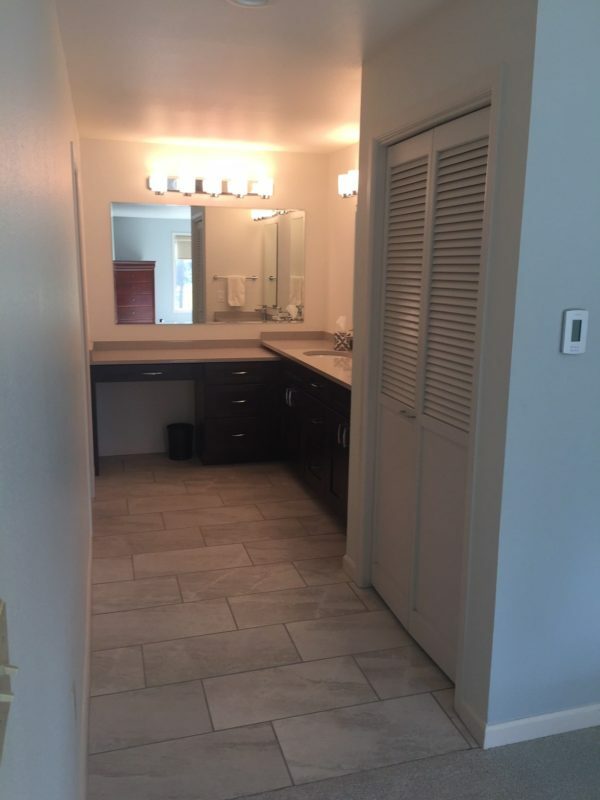 From demo to punchlist, this project was done in 4 weeks. 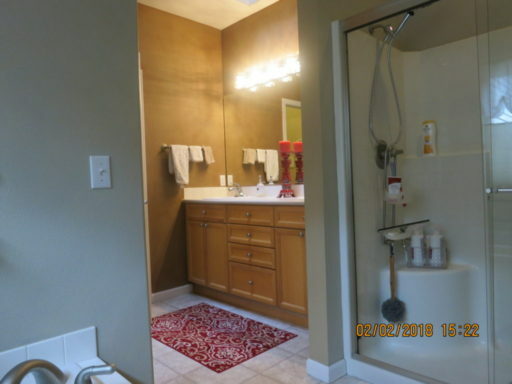 With this Tacoma condo, a dated tub/shower was completely demo’d, soffit removed and upgraded to a walk-in shower including custom tile, new plumbing fixtures and semi-frameless shower door. 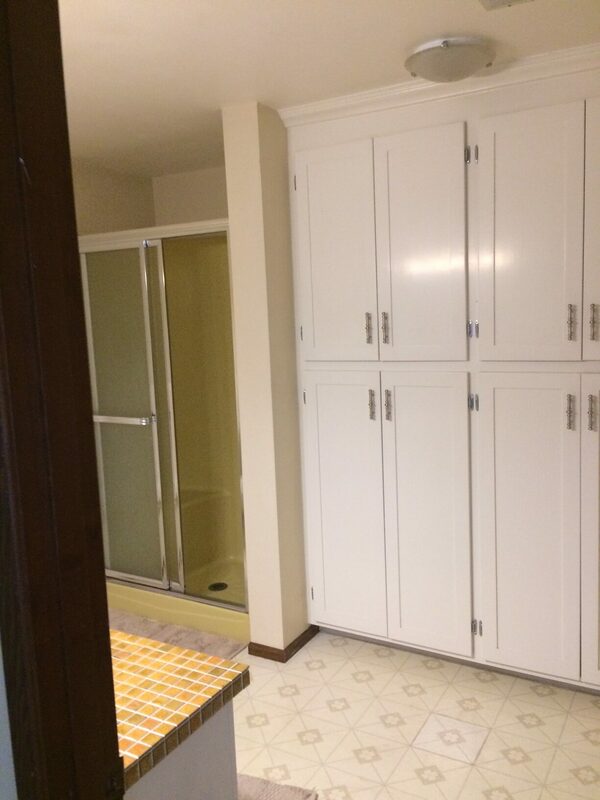 We removed carpet from the existing bathroom floors and installed porcelain tile to match the new shower enclosure. The client chose custom Medallion cabinets in cherry with a smoke ebony glaze to replace the old vanities. Pental Quartz countertops and matching backsplash were installed. 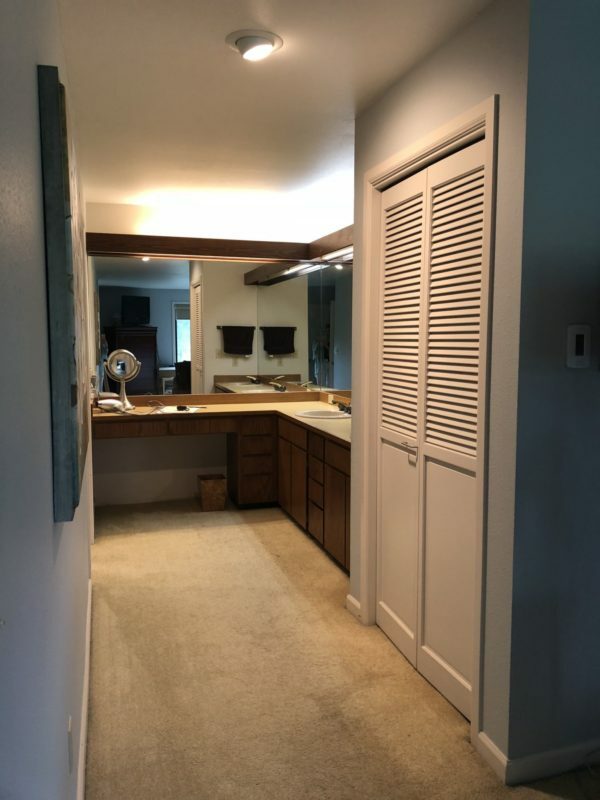 The soffit lighting was replaced with decorative vanity lights and additional ceiling can lighting. 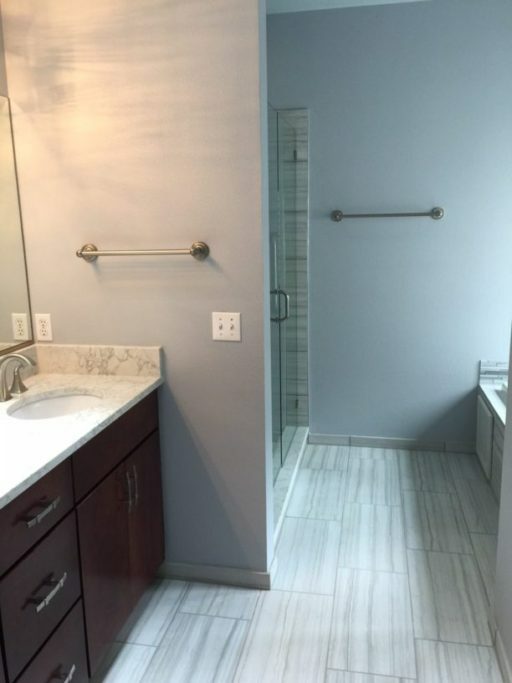 In-floor heating was installed to take the chill off the porcelain tile floors. 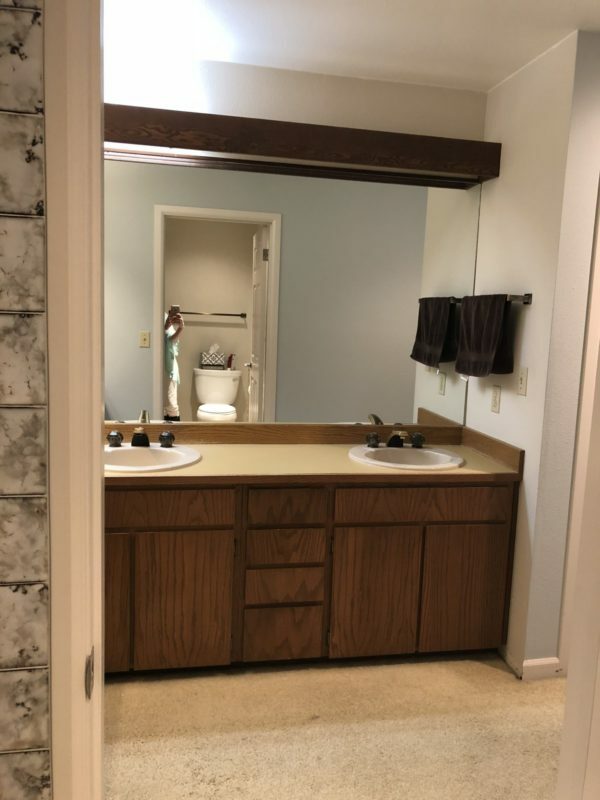 The extremely large mirror was replaced with three smaller custom mirrors, and the rooms were painted with Sherwin Williams paint. 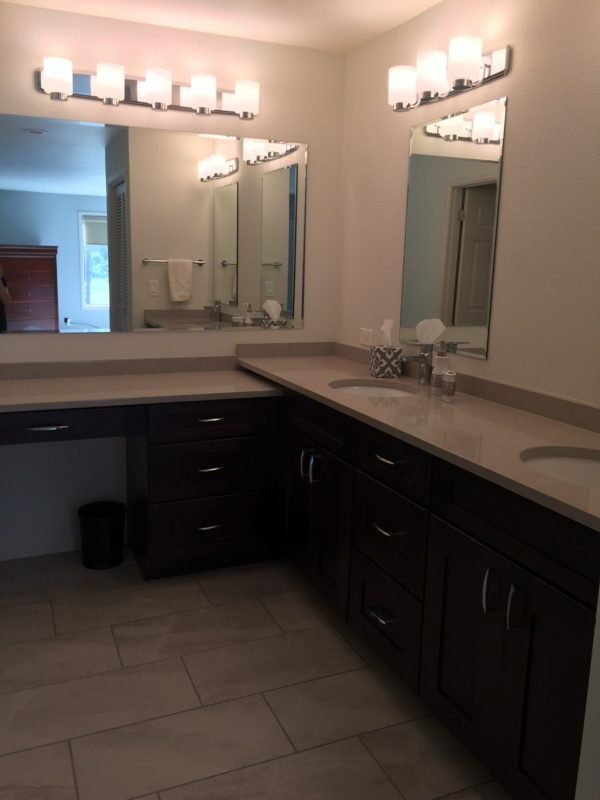 This project was completed in 6 weeks. 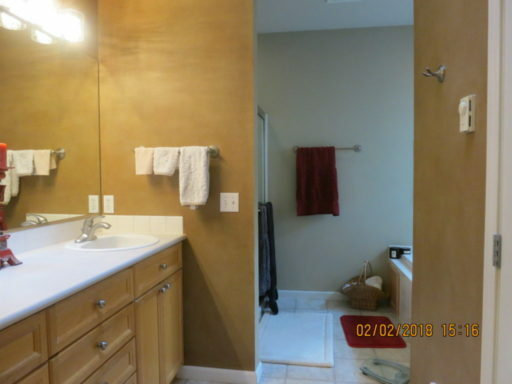 The goal for this client was to update all three bathrooms while living in their Tacoma home. 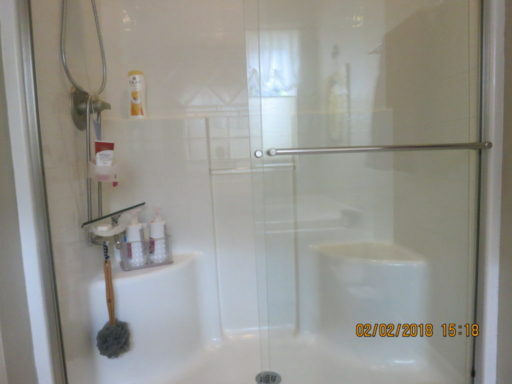 This entailed demo of 2 bathrooms simultaneously while leaving 1 bathroom accessible for the client. 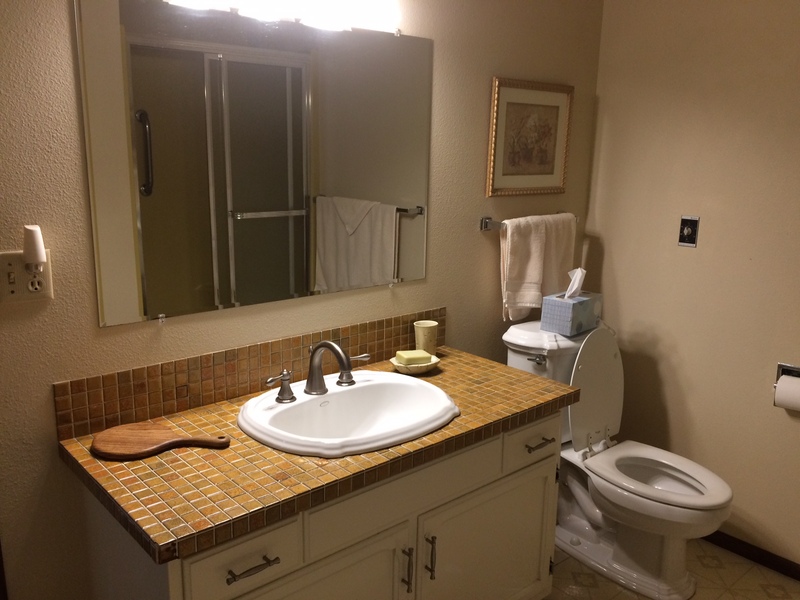 For each bathroom, we removed the existing cabinets, countertops and flooring. 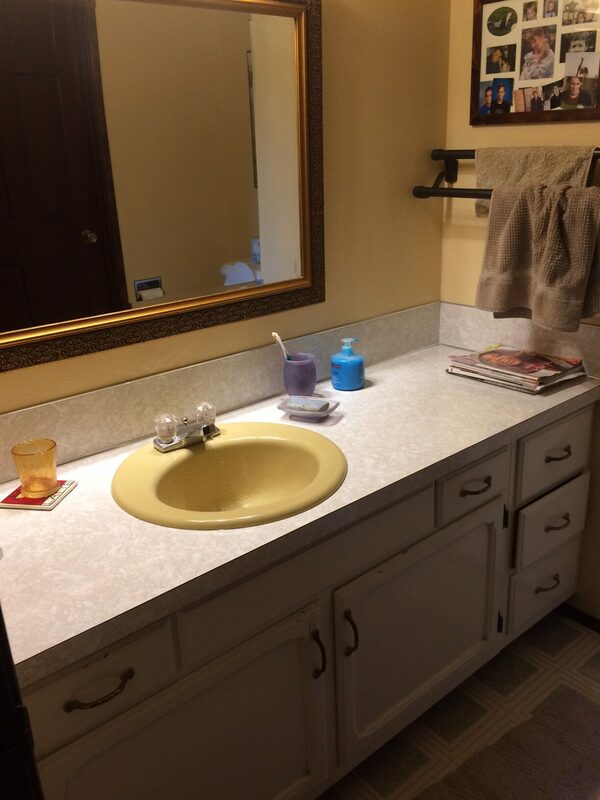 The old cabinets were replaced with custom vanities from Medallion’s Silverline and topped with Pental Quartz. 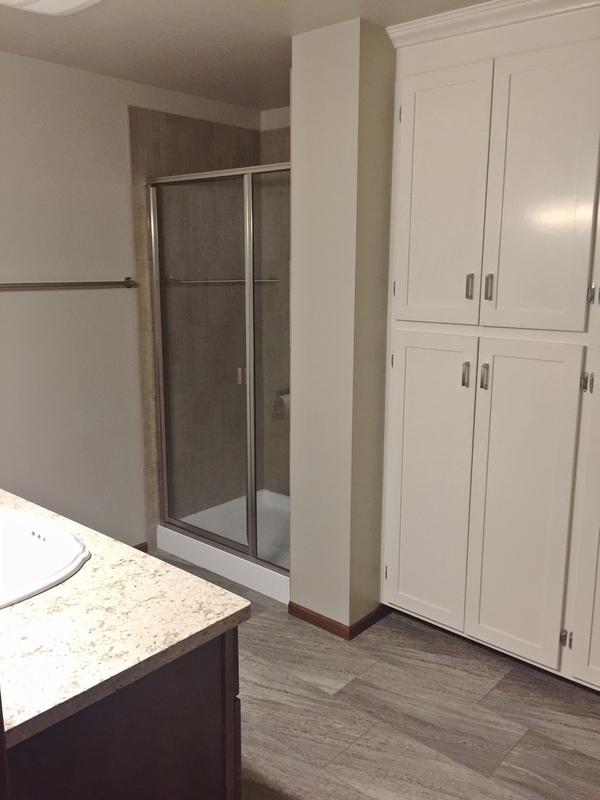 The floors were updated with a more modern luxury vinyl tile from Floorte. 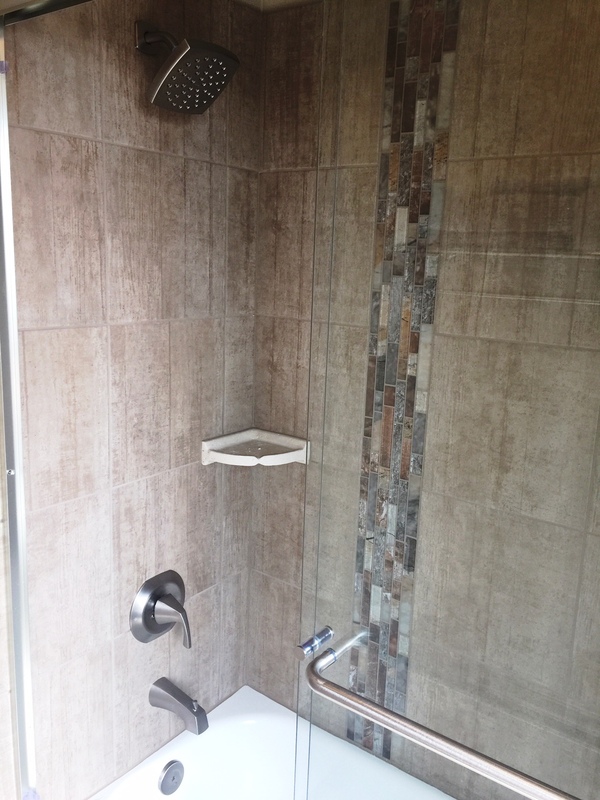 The lower level shower was reframed for a new shower pan, custom tile surround and new shower door. 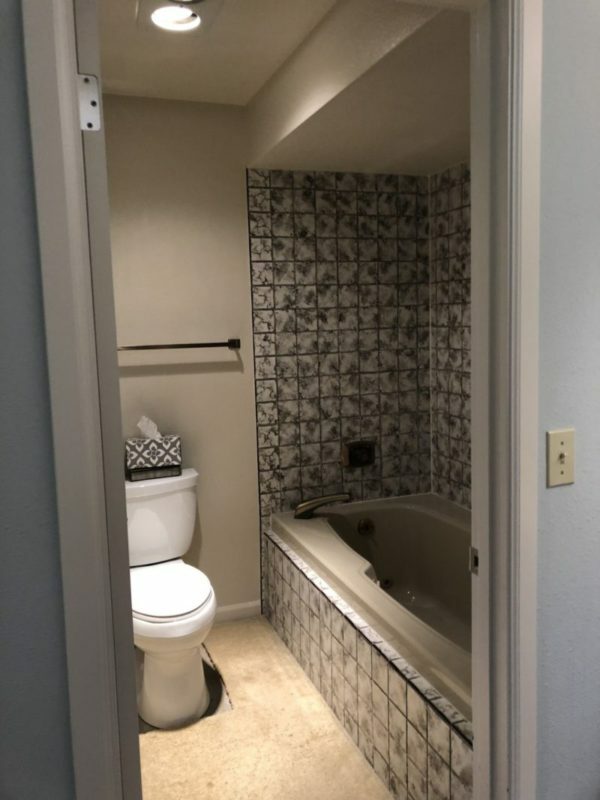 The main bathroom had a cast iron tub that was removed and replaced with an acrylic tub, custom tile surround and shower door. 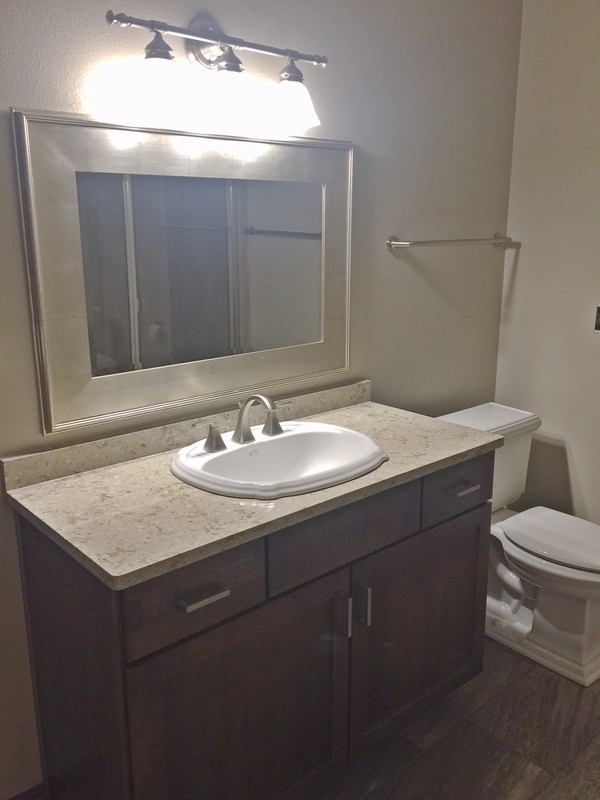 For each bathroom, we provided new cabinet hardware & towel bars, installed new plumbing fixtures and painted walls & ceilings. It took our team 7 weeks to complete all 3 bathrooms.